The second restaurant to open in the Two Fat Ladies legacy, the city centre branch is slightly larger than the compact and cosy West end original, but it is no less intimate for it. An attractive interior is given character by the hint of an underwater theme from the metalwork on the windows of fish moving through waves to the wavy lines of the architecture itself, though friendly and helpful service is on hand to ensure a smooth journey! 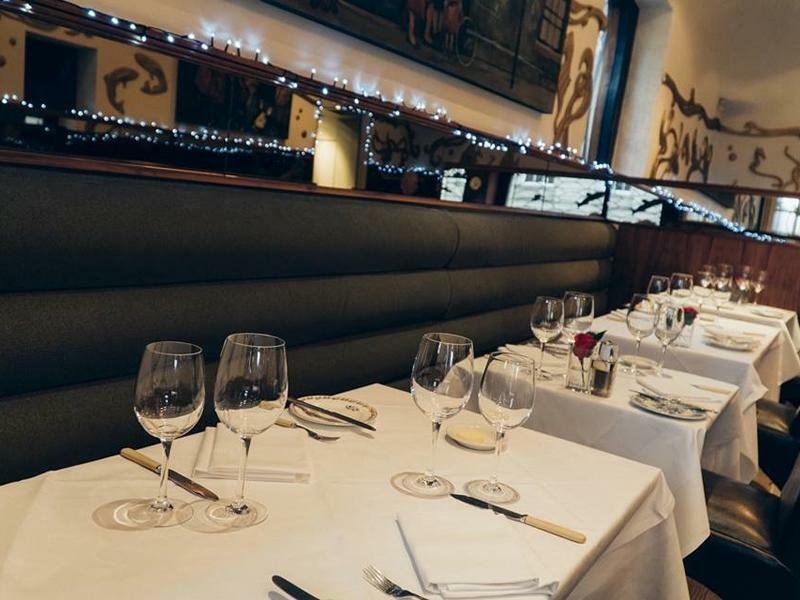 The menu shows characteristic favouring towards fresh seafood, with daily changing fish platters alongside favourites such as plaice fillets with brown shrimp, caper and parsley butter or a magnificent whole Cornish sole. A must for fish-lovers when in town. Sorry, but we have no upcoming events for Two Fat Ladies in the City. If you know of an event taking place at Two Fat Ladies in the City or anywhere else in Glasgow tell us about it and we'll list it on the website, for free!